Is iPhone says no service? Are you thinking why your iPhone say no service? There no one solution by using which you can easily solve this problem. To solve iPhone no service problem, you have to follow some steps which are given below. 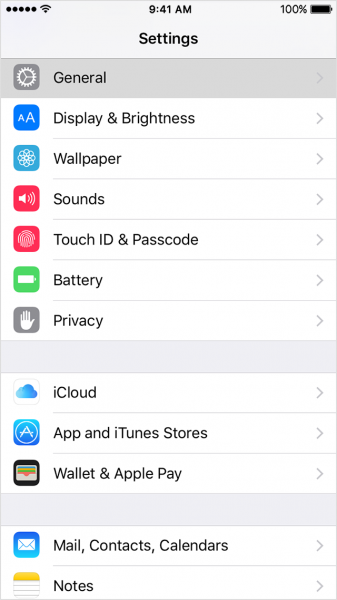 In this article, I have written about how to fix if your iPhone say no service. If you are using iPhone and you are facing many problem related to iPhone, don’t worry, I am here to solve you all problem. If you are facing any problem related to iPhone, just mention your iPhone in comment box and keep visiting findmyiPhoneonline.com website on daily basis. We’ll help you surely. So your iPhone on no service mode, don’t worry and just read this whole article and follow the given step in your effected iPhone. When any iPhone says no service it means you can’t make a call or text any one and you also can’t use Internet by using mobile data. If you want to use internet then you have to connect your iPhone to wifi. So there will be many problem when an iPhone. So you have to fix no service problem as soon as you can. Normally this issue appear on iPhone when your iPhone can’t connect to your carrier or SIM card network means at no network coverage, you will face this problem and sometimes it is happened because of low network area location of your iPhone. You have seen the message instead of no service searching for network when you go to the low network area. There are many other problem causes this problem as your SIM card is damaged or you have not place properly in SIM card tray or sometimes it is because of software bugs. Read Also: Siri Not working How to fix. Sometimes, iPhone says no service because you did not upgrade your iPhone so before starting to solve problem, just follow the given step to make sure it not too dangerous problem in your iPhone. First of all, you have to make sure you’re in network area of your carrier. To determined it, you have to see in any other phone’s network. This is one of the easiest ways to solve the no service on iPhone. Sometimes this method works. So just follow the step to turn on and off the Airplane mode of your iPhone. First of all, Go to Setting<< General << Airplane mode. No turn it on and after some time turn it off. Now if iPhone is stuck on no service mode, it will solve the problem. 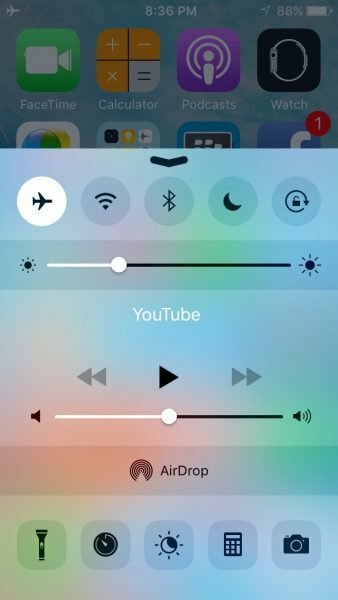 You can also turn on and turn off Airplane mode by control center. Just slide the bottom bar and there, you will see Airplane mode symbol just click on the symbol once and wait for one or half minute and then click once again. So this way is easier than first one. Now check whether network is shown in your iPhone or not. If it has appear on your iPhone, you have solve the iPhone no service problem. If network still not come, just move on to another method to solve no service on iPhone problem. If Airplane didn’t work to solve iPhone problem, try this one. It can also solve iPhone no service problem. First of all, you have to check whether cellular data is on or not because it must be on. To check it, just follow the given steps in your iPhone. Go to settings<< Cellular<< Cellular Data. If you are travelling to abroad, it is necessary to turn on data roaming in your iPhone. 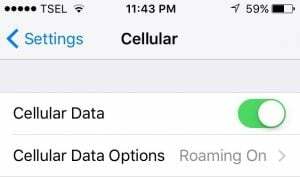 To turn on, just see below cellular data option. There, you will see cellular data option. Now click on that option and select data roaming in iPhone. Now check iPhone no service mode. If it is no more then you have solved the problem. If it is exist yet, move on to another step. Now check whether your iPhone’s data and time is accurate or not. 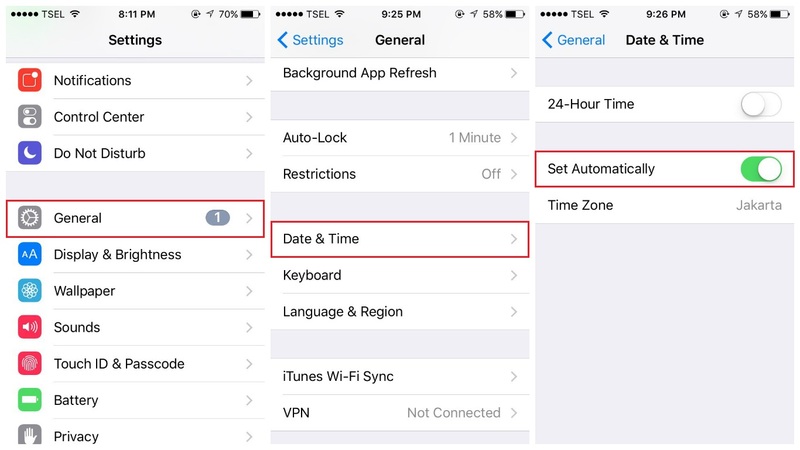 If it is not accurate, just follow the step to accurate it and also select accurate time zone according to your iPhone’s or your location. To adjust all these options, just follow the steps. If you don’t know where you are and what is your phone location, enable ” set automatically option. After enable it, your iPhone will automatically update all these things. To enable it, just follow the following steps. Go to Setting << General << Data and time. Now turn on Set automatically option. Perhaps it has solve iPhone no service problem. If it isn’t, move on to next method. Restarting can solve many common problem of your iPhone including iPhone no service. So if all above method can not solve your iPhone problem, just restart your iPhone. To restart and solve iPhone no service problem, just follow the following steps in your iPhone. Press and hold iPhone power button or wake up button. Now slide to power off your iPhone. After sometimes, iPhone will turn off completely. Now wait for one or one an half minute. Now press and hold wake up button until apple logo appear on iPhone. Now see on network whether network came or not. If no service mode of iPhone has gone, you have solved the problem. If it is still on the screen, just move on to another method. It has ability to solve no service on iPhone problem and it has also solved many problem related no service on iPhone. So let’s try it also in your iPhone. To solve your iPhone no service problem, just follow the following steps. Read Also: Offline Games for iPhone. First of all, unlock your iPhone. Go to cellular << Cellular data option << voice & data. If you are using 4g to switch it to 3g or vice versa. No go to press the home button and see whether the network has come or not. If it isn’t, just move on to another method to solve no service problem. Read Also: iPhone 7 flickering Screen. It will updates all setting which related to carrier setting as network, hot spot, cellular data, calling, messaging and voice mail setting. So may be after updating all this, iPhone no service will be solved. So let’s try this. To upgrade this, just follow the following steps. First of all, you have to connect iPhone to a stable internet connection. Now head to setting<< General << About. Now if there is any update available, you will get a notification. If there is any update available, just update it and then check if no service on iPhone has solved or not. If it is not solved yet, just move on another method. This last but not least method to solve iPhone no service problem. If above method hasn’t work, perhaps you have place sim card wrongly. 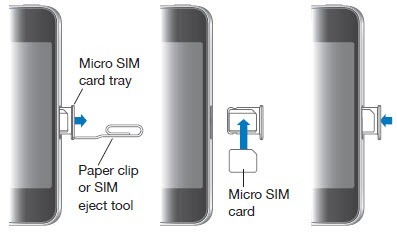 So just remove SIM card tray and if your SIM card is damaged or not. If it is damaged, just call to your carrier ask for new SIM card. If it is not damaged, just place it again properly. Now check if it has started working or not. If it has started working, you have solved the problem and it isn’t, just move on another method. The update always comes with bug fixed and it will also improve the performance of your iPhone. So update the IOS in your iPhone if it is available. Apple provide time to time to improve iPhone performance. 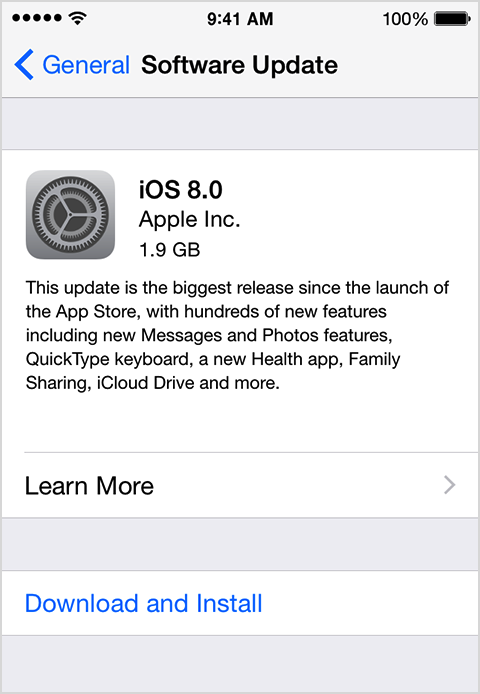 If you have not updated your iPhone yet, just update your iPhone iOS. To update the iOS, Just follow the given steps below. First of all, you have to make sure that you are connected to an internet connection or not. Now head to Setting << General << software Updates. Now your iPhone has started to check whether update is available or not. Now if it is available, tap on download and install. This method is also very effective for no service on iPhone and it will solve wifi and bluetooth. After resetting the network, you have to enter all wifi password again. Follow the following step in iPhone to reset network setting. Now enter passcode if your phone ask for. Now confirm. Now phone will start resetting all network. Now it will surely solve your problem, if there is a software problem and if there is a hardware problem, any method will not help you to solve no service on iPhone. So if above given method is not helping, just go to Apple care and tell him about your problem. They will surely solve your problem. If you have any other problem related your iPhone, just mention in comment box. This entry was posted in Best iPhone Tips and tagged How do you fix no service in iPhone, iPhone 6 no service hard ware solution, iPhone 6 no service solution, iPhone 6 say serching, iPhone 6 says no service, iPhone 7 no service, iPhone 7 plus no service, iPhone 8 no service, iPhone says no service, iPhone says searching, iPhone X say no service, No service on iPhone, why does my iPhone say no, why does my iPhone say no service but has wifi on November 11, 2017 by Shubham Pandey.